Technology is making the measurement of public relations outcomes easier, less time-consuming and more meaningful. Whether it’s the tailored digital dashboard offered by companies like Trendkite or sophisticated social listening reports like those created by Mention, sophisticated analytics help prove PR’s value beyond the old metric of “inches and airtime.” This enables teams to better identify what works and what doesn’t, creating more fruitful agency-client partnerships. That’s a goal we can all get behind. More PR agencies today are designating a measurement guru on their team to own analytics. While labeling this person a “data scientist” may be overblown, McKinsey estimates that by 2018 the number of data science jobs in the US will be over 490,000, yet the eligible, qualified candidates to fill these jobs fewer than 200,000. Perhaps training an existing staffer or considering a hire with data science experience can elevate the function for agencies. But before assigning someone to take advantage of new tech tools to monitor coverage and sentiment, it’s best to review the framework for achieving meaningful results reporting. Course-correct where needed. Advance legwork can improve the odds of achieving measurable impact. The key factors here are thorough situation analysis, competitive set, budget and target audience as part of the planning. However, like those freight company signs that warn “contents may shift,” measures for success may change as a team gets to know a product and category. Our client Wearsafe, a manufacturer of a wearable “panic button,” for example, saw its core audience as female college students and their parents. The PR campaign’s goals were to infiltrate the college market, and our storytelling focused on college readiness for freshmen. It became apparent, however, that the college crowd was difficult and expensive to reach, slow to adopt and crowded with would-be competitors. At that point, we altered our focus to target female runners concerned about safety while exercising outdoors. 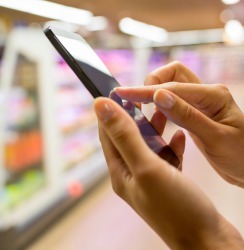 This strategy paid off when retailers like Best Buy and Fleet Feet began stocking Wearsafe. The point is that simple awareness among women wasn’t as relevant as awareness among female runners in key markets. Identify the “core measures.” Many in PR use the acronym PESO to define the different types of media coverage a solid and comprehensive PR program achieves: paid, earned, shared and owned. Most firms still deal primarily in “E” for earned, and with good reason; 62% of consumers trust media articles when it comes to making purchase decisions. Social media inspires less confidence but is still powerful; 49% of buyers trust content in brand social media campaigns. So, while there may still be “trust” gaps between editorial content and less neutral sources, today’s sophisticated agencies can make the PESO formula work to produce significant results. Take, for example, just how hot Domino’s Pizza is today. The brand has pulled off a successful multi-pronged campaign – part advertising, featuring Ferris Bueller with nods to “Stranger Things,” and part incredible marketing comeback story. It literally fires on all burners. Match tactics to goals. The rubber meets the road when the high-level thinking is translated into an implementable plan. What activities will deliver key messages to high-value constituencies to produce measurable results? This can be determined by a combination of factors: what inherent news does the company have and what kind of budget is available to get the message out. An innovative B2B tech client with a new product launch or newly generated source of funding is a slam-dunk for coverage that can quickly reach the target audience in a meaningful way. This is evidenced by companies like Starship Technologies, which closed a $17.2M Series A in January followed by a number of restaurants retaining the company for robotic food delivery. With news like this and a goal of producing earned coverage in a handful of key outlets, a company may not need to spend a huge amount on extra PR activities or sponsorships. If, on the other hand, there is no hard finance or new product story, and the objectives for visibility are broader, borrowed-interest tactics may be needed. This may mean events, stunts, surveys, or influencer campaigns, which can be evaluated using metrics like quantity and quality of coverage, share of voice compared to competitors, sentiment, and hard factors like event attendance. Consider market research. The single most comprehensive metric for PR’s efficacy just might be pre-and-post-campaign awareness research. Such research is an effective way to show the value of a solid PR expenditure for a startup brand, or a situation where a perception change is needed. A recent study on the effectiveness of podcast advertising provides clients with information like “unaided product awareness increased from the pre-study to the post-study by 47% for a financial services product, by 37% for an automobile aftermarket product and by 24% for a lawn and garden product.” This kind of data helps PR clients plan further content strategies to improve understanding of a product, service or issue and shows how effectively an audience engages with content. Evaluate the impact, and act on the findings. Here we measure and analyze the effect of the communications on its audience. Has understanding increased, have attitudes changed, or has trust and/or preference increased? We also look to see if a campaign has affected intent by looking at relevant subscription or registration data, or if it has increased online advocacy, as shown in social media content. We can then measure the impact on the organizational objectives, often with the help of simple technology tools such as Google and Cision as well as those offered by companies like SeeDepth which claims to save agencies precious time by providing real-time data on which PR programs are returning bottom-line value. 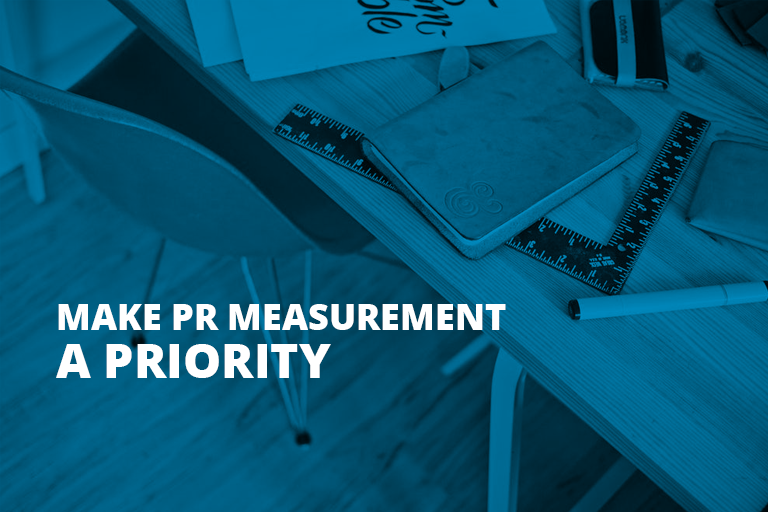 A well-documented results report reveals which initiatives produced the best results and sets the stage to brainstorm ways to build and improve for the next PR push. The report can also serve as the basis for creating case studies and award entries. Measurement will continue to grow in importance to clients and agencies, especially when it comes to reputation management, lead generation, or impact on policy or social change. The agencies that make measurement a priority without letting it consume too much time and budget will have an advantage by offering that all-important link to the organization’s business objectives as well as the everyday measures of responsiveness, quality deliverables, and creative partnership.